Starting a business and/or building a new website is hard enough. Then you have to think about the "social media", SEO, and Digital Marketing aspects that accompany it and all the work that requires! Creating a facebook page, building followers, posting quality content regularly, improving your SEO score, marketing yourself online, "friend-ing," "tweeting,"... It's enough to give you a headache thinking about! Thankfully, LCM is here to help. We have 15+ years of online marketing experience as well as specific expertise in helping to promote organizations online in social media. Let us take the reins! We'll build your following and take the pressure off so you can focus on other aspects of marketing and/or building your business. We'll create (if necessary) and manage your Facebook page. We'll gain you "likes" and encourage people to join your page. We'll post content regularly. We'll "tweet" to your followers on Twitter and attempt to gain you new followers. Median Salary of $77,000 in major metro areas (example). Social Security Tax, Health Insurance, Disability Insurance, Vacation Time, Bonuses, Continuing Education, etc. Actual total employee costs can exceed $100,000+. Typically limited to content managment and graphics preparation; 2-5 years experience. Skilled marketing expertise requires additional employees and/or outside vendors. Team of experts across the full spectrum of marketing, social, and web development--with 15+ years collective marketing experience. Performance-based (services and results delivered). Typically slow and/or error-prone -- due to lack of experience or "learning curve" required when gaining hands-on experience in a new role or dealing with new technology. Skilled professionals get work finished in a fraction of the time and with superior quality. Please Note: We only service a limited number of social media management contracts at a given time in order to ensure quality service, so please contact us to check availability. * Note about Twitter updates: These will focus on interacting with leaders, media outlets, 'companions' in the businesses field as well as with existing and potential customers, etc. ** Note about managing the Facebook page(s): Updates are to focus on sharing content from leaders and media outlets that are industry related as well as complimentary/supplementary non-compete business. *** Content Writing: We will strategize with you and develop an editorial calendar to define which content postings go up when. Content writing will be business- and customer-focused. LCM will routinely accept "friend requests" and "followers"
LCM will post promotional content, if/when promotions are run (Client will provide desired content). TAKE NOTE: Anyone can "control" a social media account like Facebook or Twitter. However, the real benefits for a business come when it is managed effectively. If you're just posting a couple times a week (when time permits) and/or not engaging DAILY with your visitors and/or not adhereing to a specific marketing roadmap and content delivery strategy - YOU COULD BE DOING MORE HARM THAN GOOD! 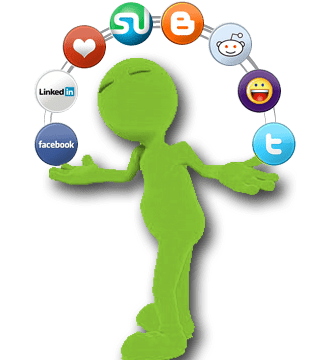 Effective Social Media Management and Digital Marketing for a business or non-profit is COMPLETELY DIFFERENT than running a social media platform for your personal use. It requires rigor, well-crafted strategy, and (most importantly) constant vigilance. If you don't have the requisite hours to put in weekly the campaign will fall flat and not be worth it. On the other hand, if you hire someone who doesn't know how to correctly drive a social media campaign for a business, you could wind up playing significant damage control for your brand image! When LCM handles the reins for you - magic can happen! We'll work as an extension of you and drive your brand image online and help create and curate content for your posts and website. This improves not just your marketing, but your online SEO score as well! Our focus is on ROI (return on your investment). So if you aren't MAKING more money (and gaining more awareness for your brand) in a quantifable way that EXCEEDS your spend, we'll call it quits. We always work with our clients to ensure they are seeing the value manifest 3x, 5x, sometimes 10x+ their expenses in the digitial marketing space. Read a recent Digital Marketing Case Study about the ROI benefits that can come out of a SMM campaign. Several of our clients have seen 30-50x return on their investment in just a few short months! NB: Three (3) month minimum committment on all Digital Marketing / Social Media Management packages. Inquire for details.